Recently, I walked through the Saturday morning farmer's market for the first time in several months. 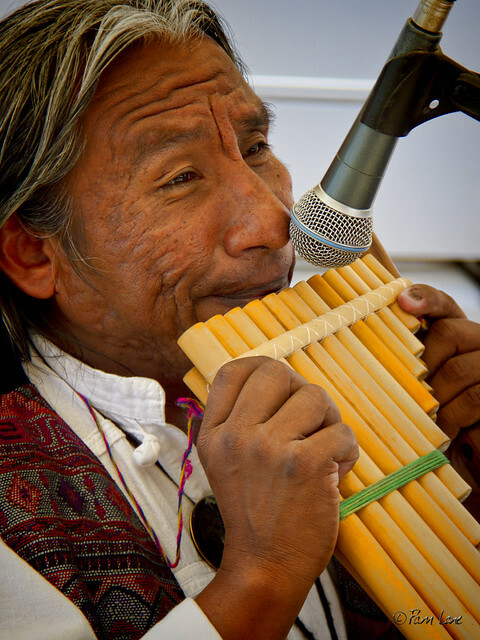 In one of the booths, this man was playing the pan pipe in accompaniment of John Lennon's "Imagine." It made for a very haunting melody. "From the start, when it was the instrument of the wood-god Pan, the flute has been associated with pure (some might say impure) energy. Its sound releases something naturally untamed, as if a squirrel were let loose in a church."